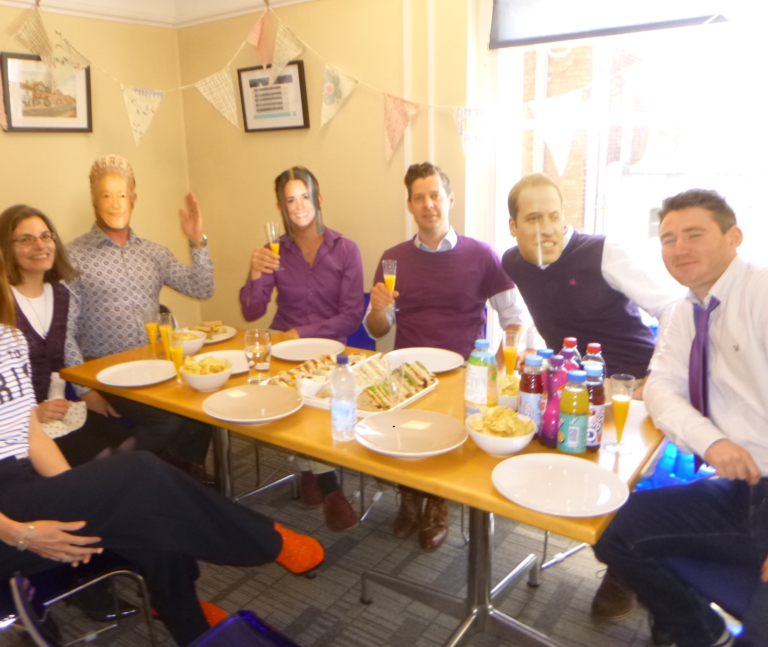 Last week the DMP team joined in with the festivities to celebrate the pending Royal Wedding of Harry and Meghan. A relaxing hour was had by all while enjoying a delicious luncheon. 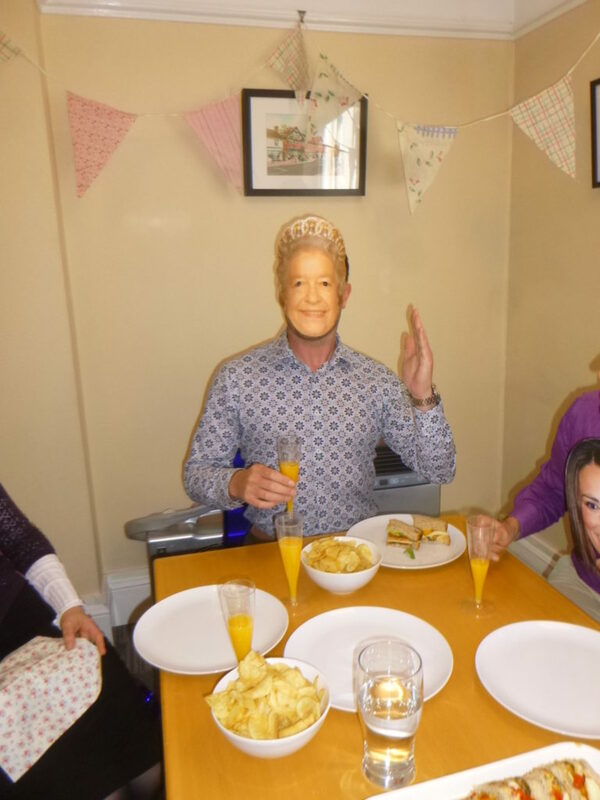 We even had some unexpected royal guests drop in, fortunately there was enough sandwiches to go around. 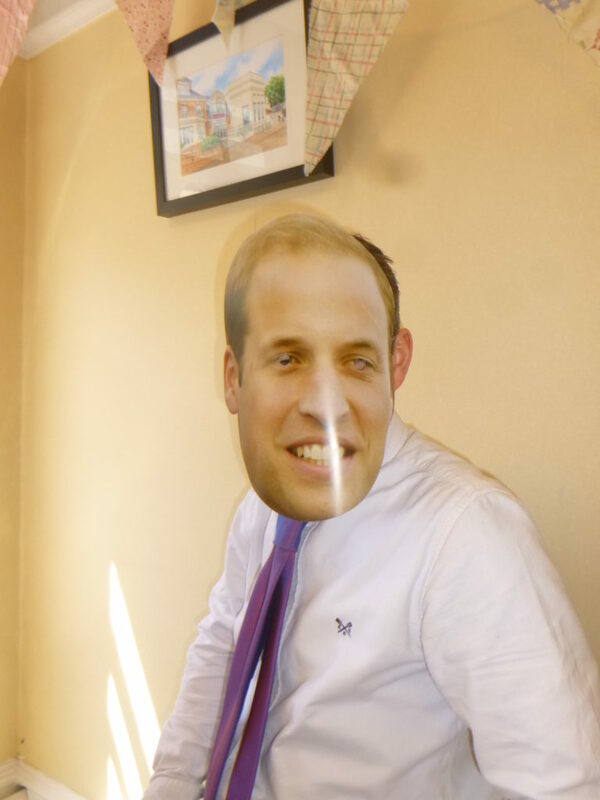 Our Majesty the Queen morphed back into Mr Whitlock shortly after this photo was taken! We would like to add our warm congratulations to the newly weds Duke & Duchess of Sussex and wish them a long and happy marriage. We would also be happy to Project Manage any renovation works they have planned for their new nest at Kensington Palace.